Chrome, White Marine Pearl. 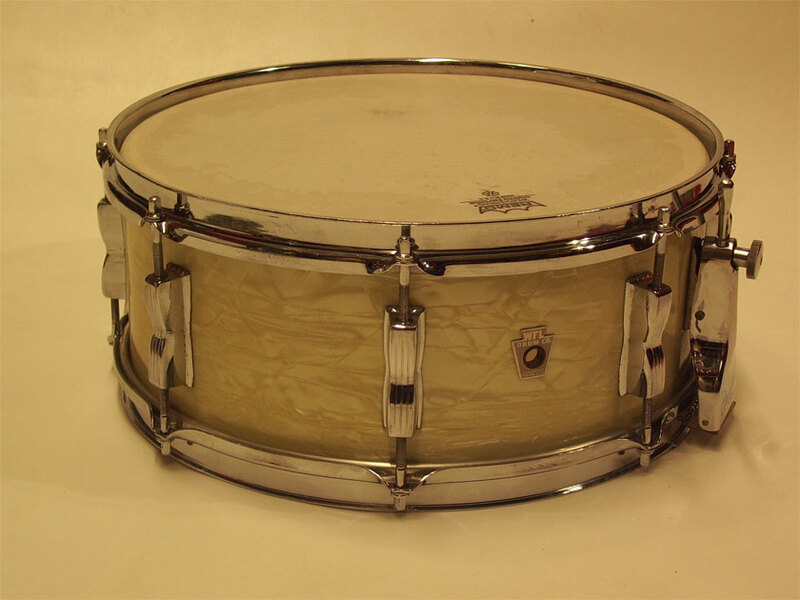 Nice original condition, new heads. 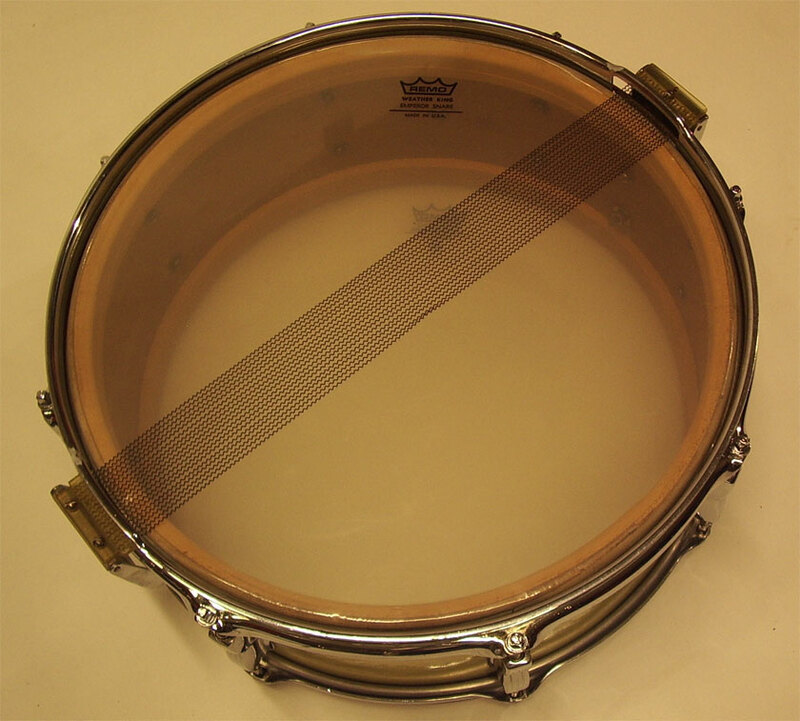 The Classic strainer works fine, drum tunes up nice. The white marine pearl is nice but has one hairline crack, hardly visable. 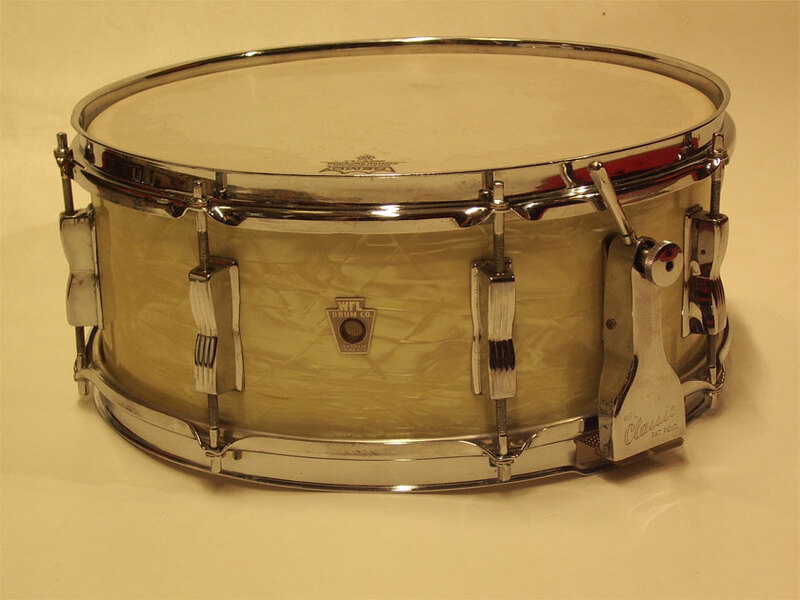 No extra holes, this is a clean, all original drum, original snarewires, original tension rods, washers etc. 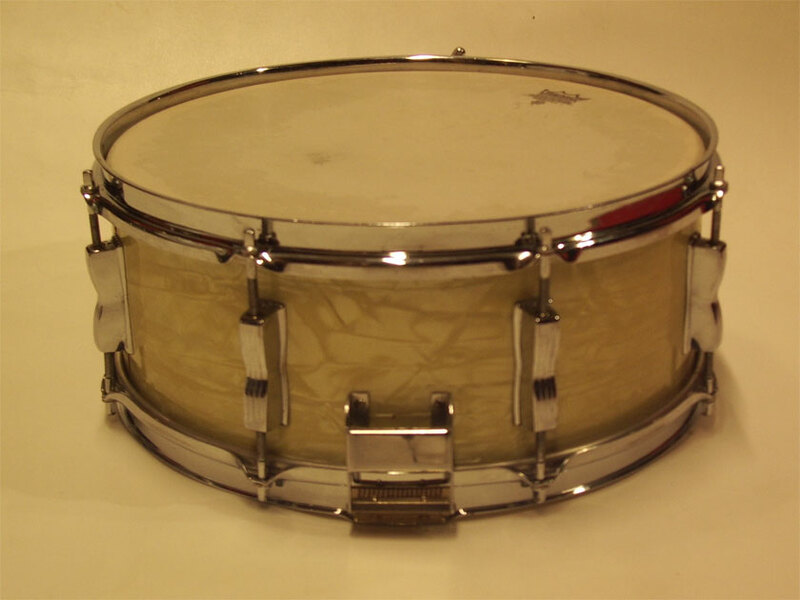 The 3-ply shell has a beautiful mahogany inside and maple reinforcement rings. 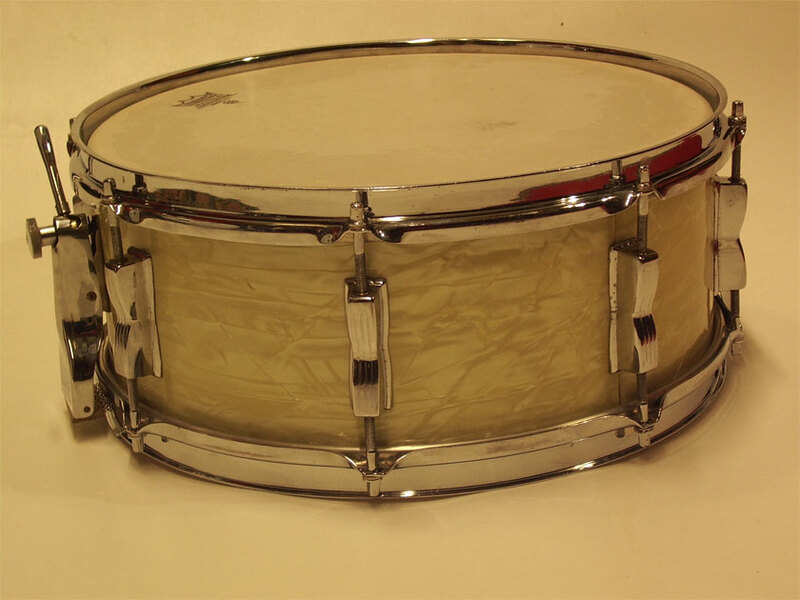 Really beautiful drum that sounds great too.